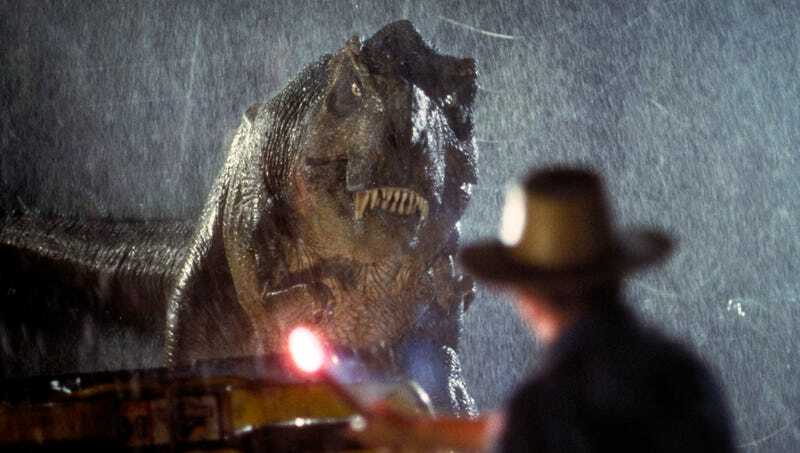 June 11 marked the 25th anniversary since Jurassic Park was released in theaters, spawning a media franchise that includes four films (with at least two more on the way) and a variety of video games and comics. The Onion looks back at some of the milestones from the dinosaur disaster series’s 25 years. Michael Crichton has an idea for a multimillion-dollar movie franchise that inspires him to write a novel. Jeff Goldblum auditions for the role of a plesiosaur but is ultimately cast as Dr. Ian Malcolm. Success of Jurassic Park launches Wayne Knight into action-movie mega-stardom. Paleontologists criticize the many scientific inaccuracies in Data East’s tie-in pinball machine. Sequel The Lost World: Jurassic Park depicts the terrifying consequences when a program designed to breed dinosaurs with unwitting human vacationers goes horribly awry. First film in the series to be based entirely on the profit motive. After Michael Crichton passes away, dinosaurs finally returned to the public domain. Producer Frank Marshall walks into a Universal Pictures pitch meeting, says the words “Jurassic Park reboot,” is handed $129 million. Last remaining triceratops dies in captivity. An adult is disappointed that the fifth movie about dinosaurs escaping their cages felt derivative.